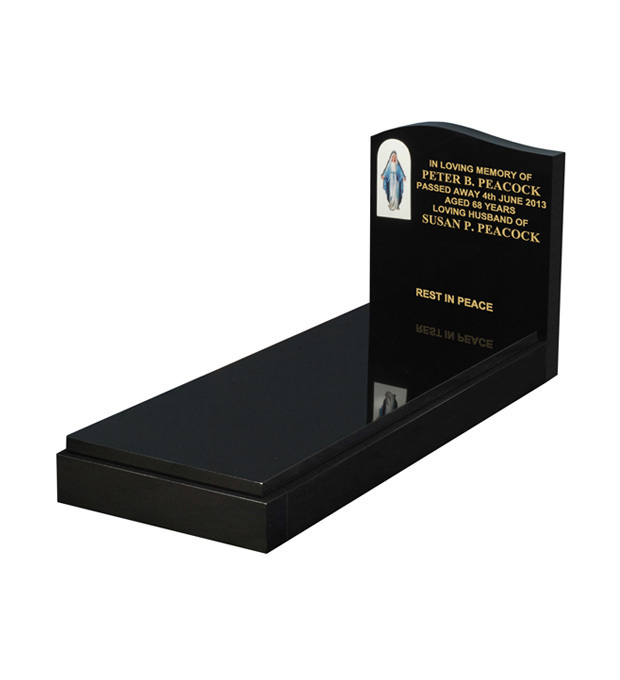 An all polished low maintenance 'Black' granite memorial with a ceramic plaque displaying Madonna with open arms. An alternative plaque displaying the Sacred Heart of Jesus can be chosen if preferred. Trade customers please log in to view Peacock purchasing options.